Looking to learn more about our AWS integrations? OpsRamp helps you maintain the availability and performance of cloud resources, optimize cloud spend and manage enterprise compliance within a single interface. 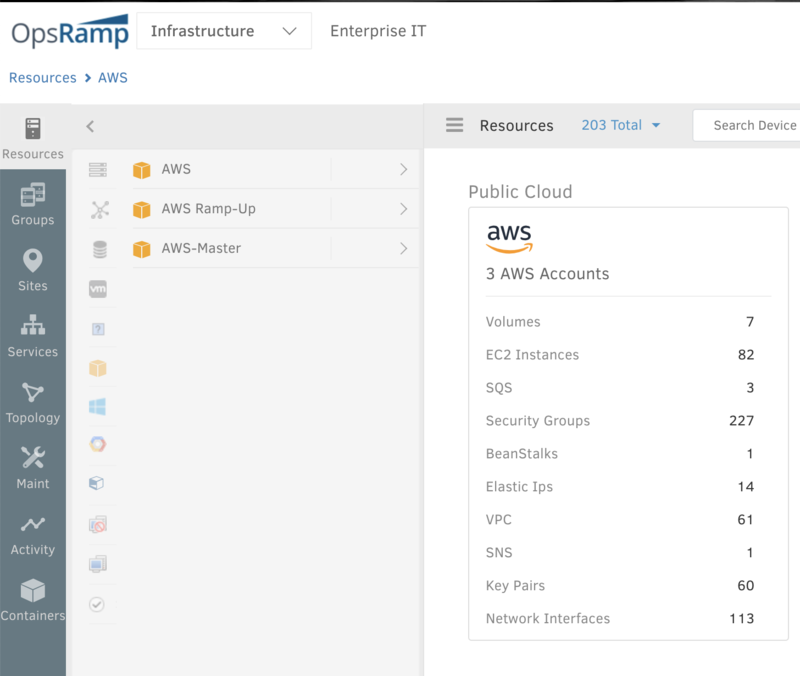 Visualize, manage, and troubleshoot your dynamic cloud architectures with OpsRamp’s support for 30+ AWS services. Multi-cloud visibility. Stream CloudTrail events for dynamic discovery so that you can track the creation and deletion of cloud instances in real-time. View relevant performance metrics for your AWS services with our CloudWatch integration and multi-cloud infrastructure monitoring. Cloud cost insights. Understand the key reasons behind your cloud bills across cloud accounts, resource types and custom attributes. Assign global tags in AWS to access detailed cloud spend by business unit or IT services. Extract signal from noise. Drive quicker remediation for cloud incidents with OpsRamp’s intelligent event management capabilities. Analyze and correlate raw events and alerts from CloudWatch to resolve issues with faster speed and greater accuracy. Blog Post. Monitoring AWS Auto Scaling: Here’s How To Embrace Scale Without Losing Visibility. Datasheet. Embrace The Cloud With Confidence.